Wesley Berger had a hand in four different nominations for this year’s Critics’ Pick Awards. 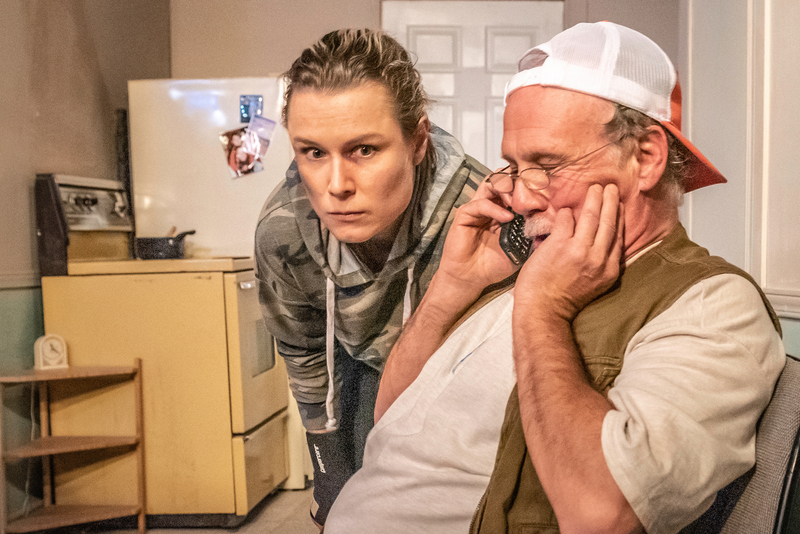 As the director of Outstanding Production nominee Kill the Poor with Leroy Street Theatre, he shepherded Outstanding Leading Performance contender Anne van Leeuwen and Supporting Performance nominee Ron Lea. And in Fierce, also by George F Walker, at Red Sandcastle Theatre, he directed Emmelia Gordon in her Outstanding Leading Performance in a Play-nominated role. We caught up with Wes to chat about each of those performers and what it is about George F Walker’s work that keeps him coming back. As an audience member it was seeing Cats on a school trip in grade eight. It blew me away. I cried. Then just after I graduated from high school in Niagara Falls, my Nana saw an ad on the local cable tv station for auditions for a production of A Streetcar Named Desire. She knew I had a latent interest in theatre and encouraged me to try out. I did and was cast as Pablo, one of Stanley’s card playing buddies. Stephanie Jones, who produced and played Blanche in that production is now the first female Meisner teacher at The Neighborhood Playhouse and Graham Abbey played Stanley. It was so much fun. I loved it. It was in my last year of university. I had gradually been transitioning from seeing myself as a future academic who did theatre as a hobby to someone who needed to do theatre with my life. That last year I acted in and out of school on five different plays. When I told my acting professor that I planned to make a go of it professionally at our end of year meeting he told me that I should consider doing a four-year conservatory program–after I had already done five years at Brock! He comes and sees a lot of the plays that I work on now though so we’re cool. I’ve been fortunate to get to direct some terrific plays and I don’t think I can choose between them. It’s easier for me to tell you my favourite experience working on a particular piece, which was directing my own play, First Dates at last year’s Fringe. The entire cast worked so harmoniously together with such positive energy and generosity towards the work and each other. I’m used to directing first productions of other people’s plays and the sense of responsibility I feel to honour their work can be overwhelming. This was less stressful and more fun. That the play won Patron’s Pick and was named to Best of Fringe was just a bonus. I have a few. I’d love to do Sweeney Todd in a small, indie venue. I think an all-female version of Othello could work really well. Seeing Wonder Woman with all those women in a warrior culture made me think of it. And of course, a play by George F Walker; The End of Civilization, which is as emotionally devastating as any play I’ve ever read. How did you get involved with Kill the Poor? I’ve been working with George F Walker pretty consistently for the past six years. After I directed his play, The Chance for Leroy Street I brought Kill the Poor to Anne van Leeuwen, whom I had loved working with and put together a cast to read it for her. At first Anne was going to direct it but then the person who was initially going to play the lead in it fell out and at that point Anne stepped in to act and I directed it. What is it about the work of George F Walker that inspires you? George has great empathy for all his characters. They do bad things and make foolish decisions but you never catch him judging them. Also, he gives voice to working class and underclass people in desperate, highly consequential situations. I see people like this on the street every day but they are generally underrepresented on stage. Finally, his plays are so full of pain and humour. That combination seems to me to have something authentic and necessary to say about what it means to be human. How did you approach casting the piece? When I organized the first reading of the play, George suggested Ron Lea to read Mr. David, the villain. Hours before the reading the actor who was supposed to read the part of Harry had to cancel because his wife broke her wrist so Ron read Harry and I read Mr. David. Ron just killed it in the reading. From that point on it was clear that the part was his if he wanted it. As soon as I knew I would be directing the play I only wanted Anne to play Lacey. I think she’s a brilliant actor and was confident that she would be great in that role. For the other parts we did auditions which I normally don’t like to do. In this instance it was necessary though and we were lucky to find Craig Henderson, Chandra Galasso and Al Bernstein. 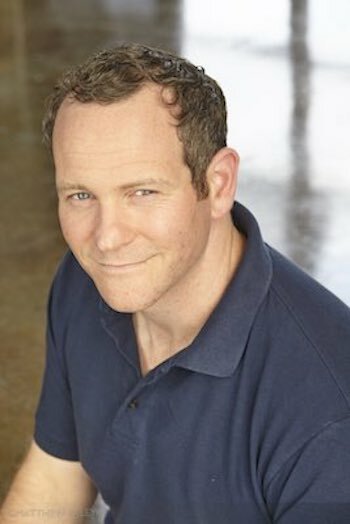 I had seen Craig in What Happened Was… and thought he was a really interesting actor with a unique presence. Initially, I was thinking of him for Mr. David but when he walked in the room, I just had a gut feeling that he should read for Jake. He was the last person we saw and I could have hired him on the spot immediately after his audition. He brought so much of himself to the part and he and Anne had terrific chemistry. Al had an electric, spontaneous quality that suited a mercurial character like Mr. David and Chandra had a combination of strength and warmth that seemed right for Annie. What were some of the biggest new elements you brought to the production that weren’t in the script? I brought in the Buffy the Vampire Slayer poster that we used in the set. That was mine. I picked the music for the scene changes which I knew needed to have a certain kind of drive and momentum. Essentially, I see directing a new play as midwifery. My job is to stay calm and reassuring during the rough patches and stay out of the way except when I’m needed to help things along so that the newborn arrives alive and kicking. We were lucky to have some of our rehearsals at The Assembly, where the play was staged but we had to schedule one at a venue that will not be named because the previous play at The Assembly was loading out. So long story short, the key to the rehearsal venue didn’t work and we had to decide in the moment to either cancel the rehearsal or relocate it. Our amazing stage manager, Marvin Araneta was able to secure a common room at his building and we moved the rehearsal there. Before we started, Anne went to use a restroom and the inner doorknob broke and, not having her phone to alert anyone, she got locked in there for almost half an hour. Eventually, Marvin figured out what had happened and found an employee of the building to free her. Then the actors did a quiet run that was interrupted both by people who turned out to be running a voting station for the municipal election in the room next to us shushing us and by a couple of voters who mistook our rehearsal for the voting station. Even with all that, the run was great. I knew then that we were ready to rock and roll. Anne van Leeuwen and Ron Lea are nominated for their work in Kill the Poor. Tell us about working with them on those characters. Both Anne and Ron had to face real and significant challenges to do the beautiful work that they did in this production. They met these challenges with great integrity, strength and courage. Anne’s character Lacey is in almost every scene in the play and goes through the ringer emotionally. She is extremely raw and in a lot of emotional and physical pain. Anne knew what it would take and was always willing to give everything, even when the cost to her was high. I encouraged her to give one hundred percent every time we ran a scene because I knew she would need the stamina to do that for the whole play. Honestly, I found it thrilling to watch her perform it. She was so spontaneous and alive in every moment and made everyone she acted with better. Anyone lucky enough to know Ron Lea personally knows that he is a special, warm, uniquely kind and generous person as well as being a wonderful, inventive, funny and charming actor. Most of my work with Ron was just urging him to trust that his expansive soul was all that the character and the play needed. And it was. Ron made Harry’s love and concern for this young couple that he befriends so genuine and heartfelt. I thought it was as lovely a performance as Ron is a person. You also directed another acting nominee Emmelia Gordon in Fierce. Tell us about that experience and working with her. Fierce was one of the most challenging experiences I’ve had directing. It was tempestuous. When I came to the project it was already cast. Emmelia was co-producing it with her fellow actor and they were formerly close friends who were not getting along well. Right at the beginning of the process I had an instinct that Emmelia was ambivalent about doing the play and we had a heart to heart talk about it. Her character, Jayne, was a more mature, experienced person than her and she sensed, correctly, that the part was going to be really tough and demanding for her. She thought about it for a couple of days and decided to commit wholeheartedly to the experience. From that point on it was an intense, collaborative process and I did my share of speeches like the coach from Friday Night Lights. Emmelia is a force of nature; a really powerful, talented actor, and she did excellent work in the play. George has written a new play for a cast of young women set in a halfway house. It’s called Girls Unwanted and we’re doing readings of it. Ron Lea gave me an extremely funny, dark and provocative Irish play called Cyprus Avenue to read. There is a great role for him in it and we’re looking to put it up somewhere. I’m planning to get a production of ‘night Mother going with Breanna Dillon playing the daughter and I think Anne would make a killer Iago in that all-female Othello I mentioned earlier. I like working on people’s passion projects. If anyone out there has one, let’s talk. I want to acknowledge and thank the elders and mentors who I am grateful to have learned from; Paul Thompson, who brought me to Tblisi, Georgia to make theatre, and George F Walker who asked me to direct a first production of one of his plays after he had directed all of his own premieres for the previous twenty years. We seem to be living in a time with very little sense of history and legacy and I think we should celebrate those who came before us while we are blessed to have them with us. Also, thank you so much for all the work you do to promote indie theatre. So many of us do this out of love, for small audiences with next to no financial recompense. To have a small production like Kill the Poor recognized alongside plays produced at Soulpepper, Canadian Stage and Stratford is a huge honour.